This week's Carnival of Homeschooing is up at Time 4 Learning.net. With flu season upon us, many of us will be going for checkups and to get flu shots. This is also the perfect time of year for a homeschool checkup. Most of us have gotten a few months of schooling behind us by this point so it’s a great time to take the pulse of our home academies. First, it helps me be motivated to stay on track with the schedule. In previous years about halfway through the school year I would fall a little behind either for homework or because of our own busy schedule. So far this year I have kept up very well with homework and the classes because I’m motivated to stay with the class. Second, we can ask the teachers questions without waiting a couple days for a response. In previous years, if I had a question about something I would email the teacher and with another thousand distant education students it could take a couple days to get an answer. So far there are only forty other live distant students so now I just type a question into the chat bar for the teacher and within a few minutes it’s answered. Third, it’s been fun to chat with the other online students. We can answer each other’s questions about the class or homework. We can chat with our friends or ask questions. There are two chat boxes, one for questions for the teacher and another for questions or chatting with the other online students. There are about forty other students watching online so often when someone asks a question another student can answer it before the teacher has read the question. Fourth, I’ve also gotten to know the students who go to the academy better (the students in the room with the teacher) since they typically turn on the camera a couple minutes before the class starts. This year the distant students will even be able to vote in the student elections for class president something, as a homeschooler, I’ve never done. Being able to watch the live videos has been a fun addition to our school work this year. It doesn’t mean that I watch all the live classes. Last week we took a field trip to Big Basin with some visiting relatives during the classes. I just watched the classes after I got home since the videos are posted online afterwards immediately. It’s been fun to add the structure of the live classes but still do the fun field trips homeschoolers get to do. One of my nieces shared a cool web site: Art.sy. Her description of the of the site is "Pandora for art." This will be the 356th edition. Go here for the instructions on sending in a submission. As always, entries to the Carnival of Homeschooling are due Monday evening at 6:00 PM Pacific Standard Time. I have a reminder mailing list. If you would like email reminders, please tell me. Jen is hosting this week's Carnival of Homeschooling at Forever, For Always, No Matter What. I'm at The Homeschool Village today, writing about some ideas that might help make life easier. As homeschoolers we have a lot to do each day, here are 10 Ways to Lighten the Load and maybe make the day go a bit more smoothly! The thing about home schooling is it never ends. Just when you think you are free and the only assignments you have to worry about are from your college professors, you get ambushed with a writing assignment on college from a homeschooler’s point of view. Now the problem with “home schooler’s point of view” is that I don’t know what might be a “home schooler’s point of view” and what isn’t. On that note, my college experience is probably a lot like other homeschoolers'. I go to college (bus, yeah! ), attend class, go home, and do homework. Some teachers are better than others. Remembering to check the updated syllabus and project assignment online has been a bit hard. One differences: I have a lot of random knowledge (Greek tragedy anyone?) that no one else seems to have. I don't have a problem being self-driven. Weird example, my math class's homework is online (MyMathLab, best thing on the planet). Several people in my class have expressed displeasure about this. I love it. It gives you a total of nine tries to get a question right. First you get three tries with the first version of the question. If you get all of those wrong it gives you two more versions of the same problem! It's great. But for some reason the kids in my class don't like MyMathLab. Weird. When first reading this you might think it was a joke: Not From The Onion: Minnesota Bans Stanford’s Unauthorized Free Online Education. This story of government overreach is so outrageous that we have to re-iterate that it is, in fact, real: the State of Minnesota has banned popular free online education site, Coursera, and has sent warning notices to its institutional partners, such as Stanford and Princeton, for providing high-quality instruction without paying a registration fee. According to Slate, Minnesota manager of institutional registration, George Roedler, says the law is meant to protect students from substandard online education, and that top-tier universities would have no problem obtaining permission (after paying a $1,200 registration fee). The issue, as Slate correctly points out, is that no organization could provide free education if they had to pay off every city, state, and federal agency aiming to cash in on the permission granting process. The warning goes on to tell Minnesota residents the will have to do the majority of the work outside the state of Minnesota. How sad that the Minnesota government feels they have to protect people from a free education. Last week's presidential debate revealed one area of agreement between the candidates: We need more teachers. "Let's hire another hundred thousand math and science teachers," proposed President Obama, adding that "Governor Romney doesn't think we need more teachers." Mr. Romney quickly replied, "I reject the idea that I don't believe in great teachers or more teachers." He just opposes earmarking federal dollars for this purpose, believing instead that "every school district, every state should make that decision on their own." Let's hope state and local officials have that discretion—and choose to shrink the teacher labor force rather than expand it. Hiring hundreds of thousands of additional teachers won't improve student achievement. It will bankrupt state and local governments, whose finances are already buckling under bloated payrolls with overly generous and grossly underfunded pension and health benefits. For decades we have tried to boost academic outcomes by hiring more teachers, and we have essentially nothing to show for it. In 1970, public schools employed 2.06 million teachers, or one for every 22.3 students, according to the U.S. Department of Education's Digest of Education Statistics. In 2012, we have 3.27 million teachers, one for every 15.2 students. Jay Greene has many points about how throwing more money and telling schools they have to hire more teachers will probably not improve government schools. This week's Carnival of Homeschooling is up at As For My House. The biggest “news” in our homeschooling life is that one chapter of it has closed. My eldest, Nick, graduated in May, and is in the process of moving out as I put this post together. There are plenty of issues surrounding that in all areas of our life, but for the Carnival, naturally, I’m going to focus on those related to homeschooling. But “the end of the road” is really a dramatic exaggeration, because my homeschooling days are far from over! I have a 2nd grader and a four year-old still “enrolled”. Having one coming out the far end does make for a natural point of reflection – a “post-mortem,” you might say. But you don’t have to wait until then to pause and take stock. You have up to October 22nd to nominate your favorite blogs for the Homeschool Blog Awards. I had a little trouble finding the link for where to nominate. Gidget's comment near the end of this post provided a direct link. If you have a son or a daughter who is interested in programming, according to the TIOBE Programming Community Index Java and various flavors of C are good choices. LangPop.com confirms this. Why don’t more parents homeschool? My wife and I are strong believers in homeschooling. We see great value that homeschooling provides in areas like the individual attention, the strong family relationships and the better moral environment. At one point I had a list of over fifty reasons why people should homeschool. Every year there are more and more articles about the problems with public schools in the United States. Many children never graduate from high school and many of those who do graduate are functionally illiterate. Public schools are rarely a positive environment often including gangs, bullying and drugs. These government schools have become hostile to religion and basic Christian values. For a great summary of the dozens of problems with government schools check out Thomas Sowell’s Inside American Education. With all the problems in public schools why don’t more parents homeschool? It seems like many parents don’t take the plunge because: It is too hard. Because homeschooling is unknown many people feel like it is an incredible amount of work. There are a couple issues here. One is a concern over the amount of time needed to homeschool. A second is a belief by many parents that they are unable to homeschool their own children. I am sure that many parents would be surprised at how easy homeschooling is, maybe even easier than public schools. Having children in public schools today is a lot of work, from the constant fund raisings, the carpooling, all the late evening homework sessions and so on, having children in government schools takes a lot of time. Most parents would be surprised by how little time it takes to homeschool. Much of the challenge teachers face in public schools is learning how to control a class of 25 plus students. Parents shouldn’t have this problem. (An out of control child is a bigger problem than education.) There are dozens of ways for parents to get help. There are local support groups. There are online aids. There are blogs and magazines. Janine and I have blogged for almost seven years now. One of the reasons we keep going is we want to provide support and encouragement so more parents recognize that they can and should homeschool their children. Hopefully over the next decade or so more and more parents will come to see the value of homeschooling and save their children from the cesspool of government schools. The latest Homeschool Showcase is up at Weird Unsocialized Homeschoolers. Welcome to My Homeschool Connection, the site dedicated to uplifting parents and students on their homeschool journey. You've chosen to pour your time, energy, and love into your child's education, and we want to help support you in your endeavor by bringing presenters and teachers into your home to inspire, uplift, and motivate you with their stories and words of wisdom. Through online content delivery we expand the reach of some of the country's best speakers, bringing them straight to you in the comfort of your own home. Homeschooling is an investment in your child and we at My Homeschool Connection, want to provide you with encouragement and support on your journey. If you'd like to receive updates from our team on events, please sign up for our email notices. This will be the 355th edition. Dave is hosting this week's Carnival of Homeschooling at Home School Dad. First of all, sorry I'm late. It is early Thursday morning here in Illinois as I put the finishing touches on this carnival. It is so early Thursday morning that it is late Wednesday night in California. I hoped to have this ready on time, but I ran into so many deadlines this week that someting had to give. With that said, let's get Carnivalizing! I think it is pretty comical that I am hosting the Carnival of Homeschooling this week even though I have been not posting consistently about home schooling or anything for the past few months. I signed up for this week's spot months ago long before I started working full time and taking a class along with regular regimen of home educating. I am so busy it is easy for me to imagine looking like this . . .
And Dave shows a picture of Charlie Brown being stressed. Over the last seven years several of our readers encouraged us to read Why Gender Matters by Leonard Sax. Janine quickly accepted the suggestion, but I was slow in taking the advice. Recently I finally got around to reading the book and I wish I had read it sooner. I liked the book so much I encouraged my older two daughters to read the book. When Janine and I were first blessed to be parents we tried to encourage our daughters to play with boy toys. We got them Legos, trucks and so on. They used Legos to make beds for their dolls. The trucks were turned into families with the bigger trucks being the parents and the smaller trucks being the babies. The left side of the brain in men is specialized for language functions while it is more spread out for women. New born girls hear better than new born boys. Girls draw nouns, boys draw verbs. Boys have a harder time talking about emotions because the part of the brain that talks is not closely connected with the part of the brain that feels. Boys and girls access risk differently. Boys and girls feel pain differently. The author explains how discipline should be different for boys and girls. If a young girl takes another girls doll, you can sit them down and ask them to think about how the other girl felt. By slowly walking the young girl through the experience she’ll literally start to feel the emotions the other girl felt. Often she’ll feel bad enough that she won’t do it again. But it does no good with a young boy. With boys it is better to make sure the boy is supervised and assert your authority in a calm I’m in charge way. Another interesting thing is with boys aggression often builds friendships. After a serious fight two boys may become best pals. But a fight between two girls normally destroys any chance of friendship. The friendship between girls is typically face-to-face. They’ll talk for hours. The friendship between boys is typically shoulder-to-shoulder. They’ll do things together. In terms of education girls are more likely to want to do well to please the teacher. Boys are more likely to study if they find the material interesting. Girls are comfortable asking for help. Boys see asking for help as a last resort. The author explains that because the brains of boys and girls development in different sequences most boys really are NOT ready for academics in kindergarten. It is not developmentally appropriate. The author constantly makes the point that one type of brain isn’t better or worse, just that they are different. We’ve seen a trend in the last couple decades to see boys who act like boys as being broken and needing medication to get them to behave like girls. I think every parent and every teacher should read this book. I found it insightful and convincing. It has improved how I parent and interact with all children. The latest Charlotte Mason Blog Carnival is up at North Laurel Home & School. I would like to be allowed to admire a man's opinion as I would his dog - without being expected to take it home with me. A hundred years ago, higher education seemed on the verge of a technological revolution. The spread of a powerful new communication network—the modern postal system—had made it possible for universities to distribute their lessons beyond the bounds of their campuses. Anyone with a mailbox could enroll in a class. Frederick Jackson Turner, the famed University of Wisconsin historian, wrote that the "machinery" of distance learning would carry "irrigating streams of education into the arid regions" of the country. Sensing a historic opportunity to reach new students and garner new revenues, schools rushed to set up correspondence divisions. By the 1920s, postal courses had become a full-blown mania. Four times as many people were taking them as were enrolled in all the nation's colleges and universities combined. The hopes for this early form of distance learning went well beyond broader access. Many educators believed that correspondence courses would be better than traditional on-campus instruction because assignments and assessments could be tailored specifically to each student. The University of Chicago's Home-Study Department, one of the nation's largest, told prospective enrollees that they would "receive individual personal attention," delivered "according to any personal schedule and in any place where postal service is available." The department's director claimed that correspondence study offered students an intimate "tutorial relationship" that "takes into account individual differences in learning." The education, he said, would prove superior to that delivered in "the crowded classroom of the ordinary American University." We've been hearing strikingly similar claims today. Another powerful communication network—the Internet—is again raising hopes of a revolution in higher education. This fall, many of the country's leading universities, including MIT, Harvard, Stanford, and Princeton, are offering free classes over the Net, and more than a million people around the world have signed up to take them. These "massive open online courses," or MOOCs, are earning praise for bringing outstanding college teaching to multitudes of students who otherwise wouldn't have access to it, including those in remote places and those in the middle of their careers. The online classes are also being promoted as a way to bolster the quality and productivity of teaching in general—for students on campus as well as off. Former U.S. secretary of education William Bennett has written that he senses "an Athens-like renaissance" in the making. Stanford president John Hennessy told the New Yorker he sees "a tsunami coming." The article covers some concerns people have with online. Clearly it won't be the same as the classroom experience. But now that average cost of higher education has climbed to over $100,000, the bottom line isn't so much can online be as good or better than a classroom, but for the price will online be better? If people are able to earn a bachelors degree for $10,000 via online than even if it is only 90% as good as the more traditional approach, many will choose to get an online degree. The latest Unschooling Blog Carnival is up. Please send in a post about homeschooling for the next Carnival of Homeschooling. 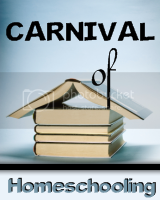 The Carnival of Homeschooling will be held next week at: HomeSchool Dad. This will be the 354th edition. Simon Cowell is on the hunt for the next Mark Zuckerberg or Bill Gates. According to The Sun, the former American Idol and current X Factor judge is teaming up with Black Eyed Peas rapper Will.i.am to find the next hot tech entrepreneur. Details are sparse on when the show will debut and the exact format, but if the tech-focused show is anything like X Factor, it sounds like would-be entrepreneurs will be pitching their ideas to an all-star panel of judges. It also appears that the show will be based in the UK. It sounds similar to the entrepreneur-focused reality show Shark Tank, except with a tech-focused twist. Conni is hosting this week's Carnival of Homeschooling from Alaska at MrsMamaHen.com. And with the return of autumn, comes lots and lots of activities. Some of the activities involve homeschool-related things. Some are related to volunteer work, holidays, family, work, and on and on. I find that this time of year, with these added activities filling up my calendar, I will often find myself stretched too thin. I love homeschooling. I love spending time with my children like this, and it is my first priority. I find myself having a sense of "obligation" that can get me into a great deal of trouble in other areas. And sometimes that means I have to say "no." Setting boundaries and limits for our family or personal activities can be hard. I hate to disappoint people, and I always feel awful if I can't be everything to everyone. But I have learned, the hard way, that if I have too much on my plate, I can't finish everything to the best of my ability. If I can't do something 100%, then I am not the person to do it in the first place. Again, my family comes first. My husband and my children. Everything else is secondary. How do you protect the priorities in your home? I caught the bug and stayed home sick today. Normally I’ll head off to work a little after nine in the morning and return a little after six in the evening. I’ll get summaries and brief mentions of the daily events. Today was different, as I could see how the homeschooling is happening, instead of hearing about it second hand. The house can be very chaotic. Much of this is due to my six-year-old son. Our younger two daughters are pretty good about settling down and focusing on their school work. The two of them are taking a distance learning course. This year some of the classes are live. In the past the teacher was recorded as they taught a local class, and then the distance learners would watch recording. The school is trying something different this year. Now the distance learners can watch the class live. One good thing about this is the distance students can type questions if something comes up in the lesson they don’t understand. At times it seemed bit quieter at our home than last year. With our oldest daughter off at the local junior colleges from about 7:00 AM to 1:00 PM every day. And today she didn't home until five because she has a weekly cleaning job on Monday afternoons. Around ten this morning my son settled down to listen to Boxcar Children. I think he has listened to it a dozen times in the last month. He pushed a couple kitchen chairs over to the couch and built a small fort out of blankets.